Successful poker players are well aware that poker is a more than just playing cards in hope for luck, that is why you are reading this. Those who continually try to improve their poker skills understand that poker rooms are also places for making lots of money a bit faster than normal. However, just like in every other game, it requires practice, research, patience and evaluation in addition to coming up with a few tricks of your own. When it comes to poker, nobody is born a pro. So what is the best method to study and learn online poker? Before deciding on how you want to study poker, take a deep look into your previous methods and whether they worked for you. For example, If you have used poker instructional videos, did they help you? You might have used hand ranking charts when you were a newbie poker player. However, experience has taught you basic terms, rules and variants which mean you may need more advanced methods of studying and improving your poker game. Learning poker through poker training videos is increasingly becoming popular. 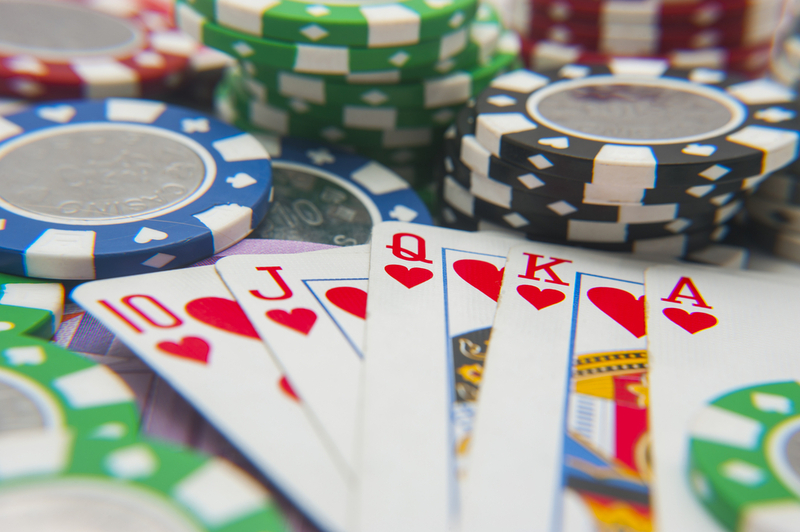 Sites that train poker concepts gained grip due to their impactful use of video media. The best thing about learning poker from videos is that it has an entertainment aspect. Most successful players can testify to the advantages of learning poker through videos. There is a variety of free or purchasable videos out there, that offer great tools for learning and very affordable online poker resources. Poker books may not be as popular as before, but they are still effective when it comes to studying poker. Most poker players who want to be successful have a poker book, either hardcopy or ebook. For the ones who are naturally anti-books, it might be the time to try flipping a couple of pages with poker information and tips. Poker books are a one-time cost, meaning that once you buy it, you can go back and refer to it anytime. There is also the advantage of portability since you can take them anywhere, whether it’s on a trip or an event that will probably be boring. It is unfortunate how there are so many poker players who are sceptical about getting a research. However, most world-class players will tell you that somewhere along the way, they had to get a pro to train them. A poker coach can help you improve your play and increase your winning potential. Here are factors to consider as you choose your coach. Probably the cheaper your potential coach is, the less you will earn. It makes sense not to hire a small stakes grinder if what you want is high stakes. Your expertise level in poker. Poker coaches are for struggling players, who have still not mastered their discipline in the game, people who are seeking drastic improvement in their plays. Is the coach you have in mind a scammer? Most studying poker trainers are legit. On the other hand, there are possibilities of getting ripped off through over pricing and scamming. How compatible are you with your coach? To be sure whether you can work well together, request a short, free, session. Do not be pressurised into working with someone if nothing useful is coming out of it. What are your other methods of studying poker? While having a coach is very effective, you might want to consider complementing your trainer with other modes of learning. The best way to find out what works for you is through research and doing background checks on your potential trainer. Recognisable, successful players realise that having friends who play poker helps in improving one’s game. It is important to have people who can discuss hands and poker concepts with you or give you moral support in your tournaments. Professional poker players are well aware of the importance of forums where poker players come together to discuss their experiences in this money-making hobby. Most forums have detailed strategy sections, written on various, crucial topics of poker. Then there is the advantage of learning from the experiences of other players, found on the post threads. You would be surprised on how many other poker players are going through the same situation. You can also ask general strategy questions, request for hand analysis and join study groups. If your topic is relevant, it is sure to receive replies! There are so many different opinions that it can be challenging to decide what is useful and what is not. Some professional get too engrossed in a debate, taking things too personal that usually ends up in a thread of insults and chaos. All unsuccessful poker players are good at making the excuse of ‘I am not a math person’. Meanwhile, the pros dive into concepts like odds, probability and equity. Most poker math is useful and easy to learn. Here is a list of the simple, mathematical aspects of poker. Math: Multiplication, Conditional Probability and Multiplication. We use this to determine how often we win a hand and converting that into a pound amount in order, for the sake of ‘keeping score’ of how we manoeuvred a poker hand in isolation. Remember, as your poker game remains the same, others are striving to improve by learning online poker and receiving coaching, meaning they will be ahead, with more chances of winning.